When will the misogyny and racism stop? Come on guys; I think we have evolved enough. Even with all the progress that the world is making, some men’s minds are still stuck in the stone ages. It’s 2019. Misogyny and racism are not acceptable anymore. If you make any such comments, the world is most likely going to call you out. 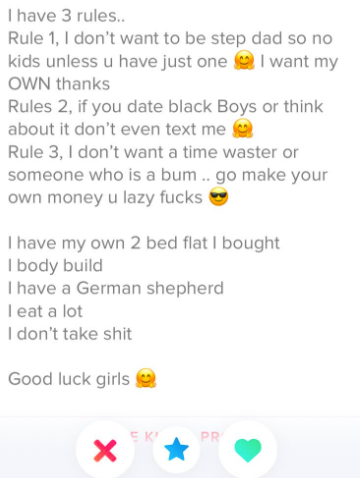 Just like this guy on Tinder, who thought it was cool to write a racist and misogynistic bio. However, women on Twitter didn’t let that go and roasted the hell out of him for it. This is what the 27-year-old looks like. Understandably, Kirk got roasted to a crisp after that. Does he need help pulling his trousers up? 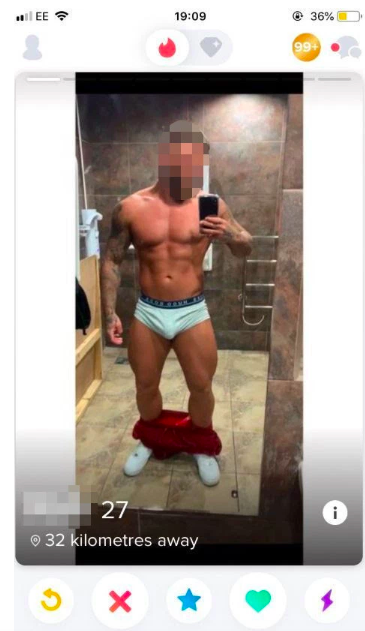 There were comments about his appearance. He doesn't want to be a step-dad but it's fine if you have only one kid. Logic fail. Too bad that body is going to waste with that personality. Someone clearly skipped personality day. Pull your pants up, for heaven’s sake! What do you think? Did he deserve these roasts? Let us know in the comments below.